After months of correspondence with two time National Poetry Grand Slam winner Anis Mojgani, Sabol Rodgers (C’16), a resident of the Community Engagement House, organized a poetry reading aimed at promoting coalescence within the community. Although the show began at 7 p.m. on Monday, March 31, 6:15 p.m. marked the moment when a crowd formed in Convocation Hall. “I feel really happy to be at Sewanee because it’s the kind of school that would support that. His poetry encourages unity among people because he values life and human capability and translates that into his work,” Rodgers said. 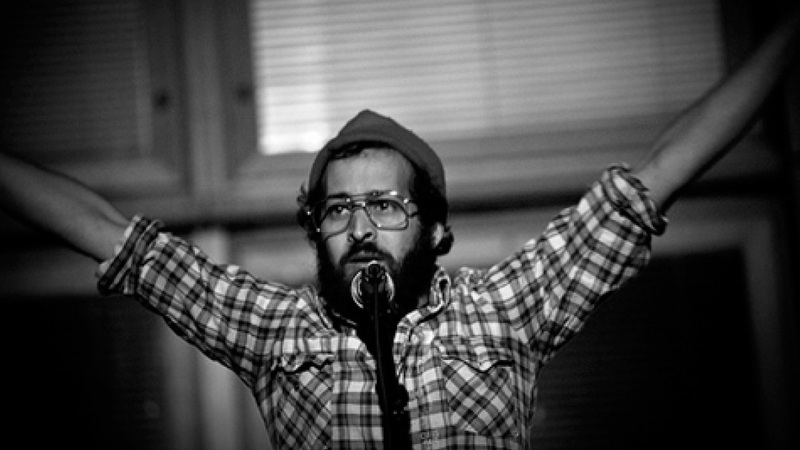 Slam poetry is a form of art that has been performed at open mic nights at Sewanee, but the talent and charisma Mojgani represented was beyond what most students had ever seen before. Despite this fact, he held the qualities of a humble artist: he spoke with empathy. He never seemed to notice his untied left shoelace and a ruffled collar because he was so focused on sharing his work. The first poem he performed was “Come Closer,” which Rodgers shared with Sewanee during Arm & Trout at the Green House last semester. Immediately, the audience fell under a blanket of silence as the poet warmed the room with his performance. Even within his serious pieces, he found ways to bring a laugh out of the attentive listeners. “Rock Out” certainly put the audience in high spirits. Arguably the most interesting component of the event was the fact that Mojgani was extremely willing to get to know the members of his audience. After the show, he spent more than thirty minutes conversing with Sewanee students while selling his books and CDs. A reception in the Women’s Center was held afterward, hosted by the co-sponsors of his visit, and those who were unable to make the event itself were glad to enjoy the reception afterward. Mojgani’s performance would have been impossible without The Community Engagement House, The Green House, The Bairnwick Women’s Center, The Ask Not Campaign, Mountain Top Musicians, Earth Keepers, The Universities Lectures Committee, and the Cornerstone Project. On top of winning the National Grand Poetry Slam twice, Mojgani is the winner of International Poetry World Cup spoke on TEDx. He now lives in Austin, Texas, with his wife.